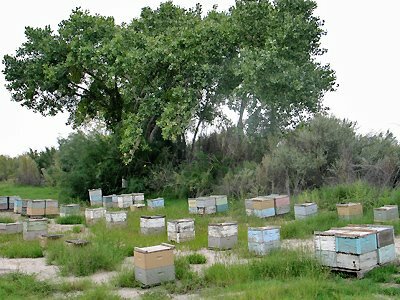 A bee yard just outside of Las Cruces. Ideally, bees should be located where they get some shade and near water. These hives are about 2,000 feet from the Rio Grande.